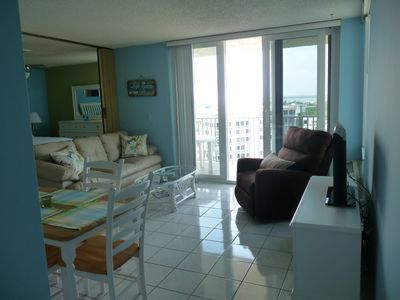 FUN IN THE SUN; Beautiful Direct Gulf Front Condo-2Bd/2Bth; DISCOUNTED RATES!!!! 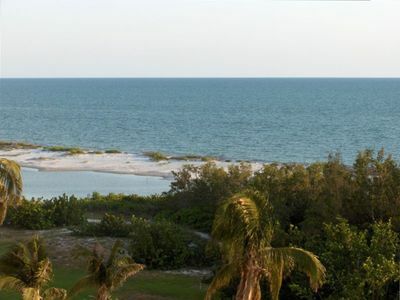 This unit offers unobstructed, expansive views of the Gulf of Mexico; 2 bedrooms, 2 baths with private access for guest bedroom; PREFER WEEKLY RENTALS. Sanibel Arms is operated by on-site staff six days a week to meet and greet you and address any needs you may have during your stay. They will also reserve the unit for you and send you welcoming information. 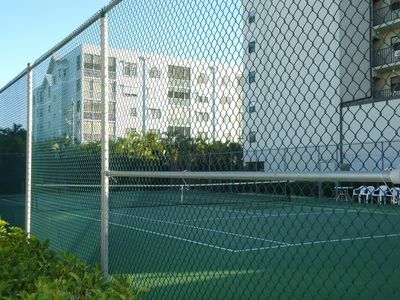 Our guests will find a very private and handicapped accessible ground floor corner unit with glass and screen enclosed lanai. 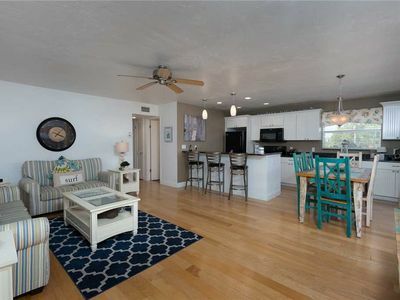 This immaculate unit was completely remodeled and reflects a beach style motif. Enhancing that overall theme, the unit incorporates ceramic tile and mural sea-scapes in the guest bedroom and bar area. The unit is tiled throughout, provides a washer/dryer and has a TV in each room. The new kitchen boasts hard surface counter tops, cherry wood cabinets and all new appliances including a double door refrigerator with ice maker for your afternoon cocktails. Each bathroom is fully tiled and provides hair dryers. Both bathroom shower enclosures are handicapped accessible and include hand rails and a shower chair, if needed. The master bedroom contains a king sized bed while the guest bedroom provides 2 twin beds and has private bathroom access. 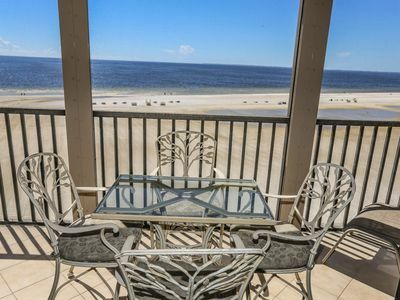 The dining area and lanai offer a gorgeous vista of the gulf, the pelicans and the dolphins. 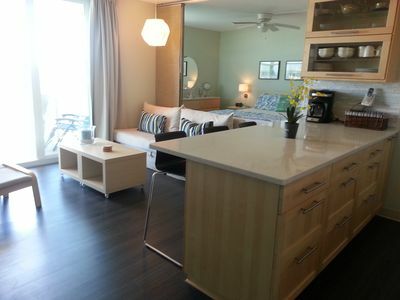 The unit is WIFI equipped and has a large screen satellite TV. Beach chairs, beach towels and an umbrella are also provided for your convenience. 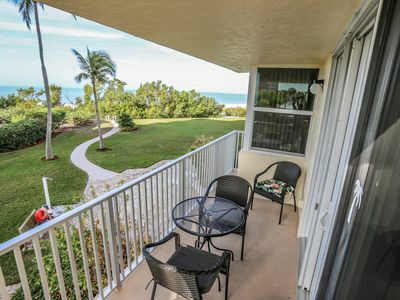 Sanibel's exquisitely natural beach is just steps away from this unit for you to enjoy sandy walks, shelling, fishing and swimming in your own back yard. 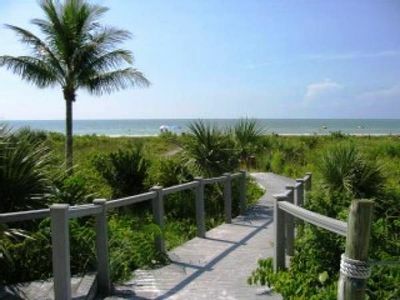 But there are also miles of biking trails to explore and the world renowned Ding Darling Wildlife Refuge as well as Captiva to visit. 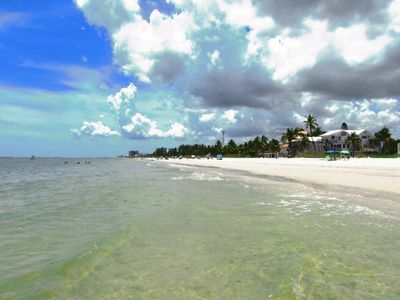 We hope you decide to come and be our guest here on beautiful Sanibel Island. 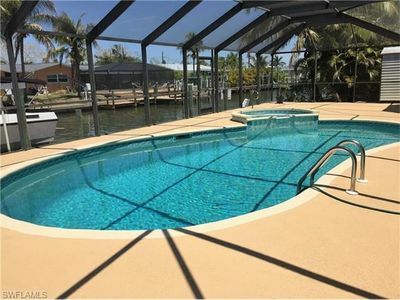 Gulf Access canal home with private pool/spa/wifi/fishing dock - walk to beach! 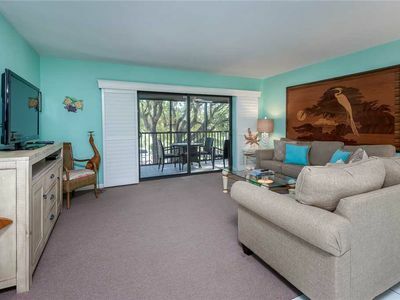 You will appreciate the beauty that this newly updated beachfront condominium at the Estero Beach and Tennis Club Unit 104C brings. White Sands and Sunshine! 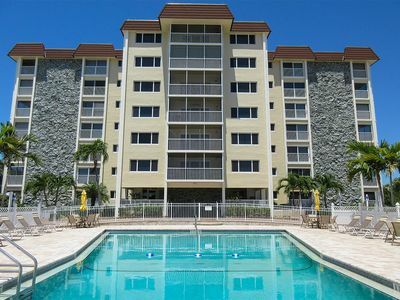 2B/2B Tropical Island Condo Beachside w/ Large Pool At Bargain Price!